While we’re all sold the dream that babies are utter perfection (of course they are! ), it’s pretty common for them to have dry cheeks, nappy rash or flaky skin. We put a callout to mums who are having issues with nappy rash, and were swamped with cries for help! So we sent them some of our favourite skincare products – and here’s what worked. 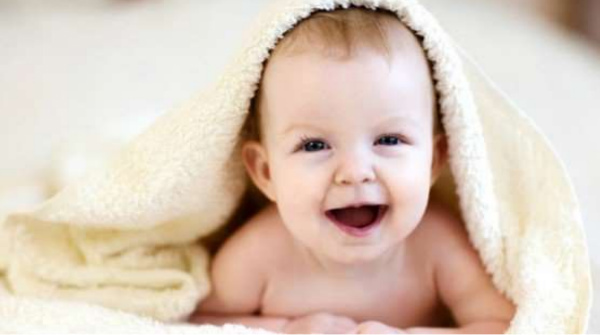 When it comes to keeping a baby’s skin as beautifully soft and smooth as the day they were born, it’s all about gentle, calming and soothing ingredients that help battle the rigours of nappies and things like air-conditioning and heating. So we called on the skin experts at DermaVeen to curate care packs for a host of Babyology families, to test out on their bub’s skin. DermaVeen Extra Gentle Baby Soap-Free Wash – to help relieve dry, itchy, irritated and scaly skin, with the soothing and cleansing properties of natural oatmeal. DermaVeen Extra Gentle Baby Moisturising Cream – to soothe and protect baby’s delicate skin, and lock in moisture. DermaVeen Extra Gentle Baby Nappy Rash Cream – developed to help heal and protect baby’s delicate skin. Our families were asked to use the three products as part of a gentle and nourishing skincare routine for their babies, and the feedback was impressive. More than 90 per cent of the mums reported back that their baby’s skin was softer and smoother after using the three products, and 97 per cent found that the natural oatmeal formula protected their child’s skin. And here’s the kicker – of the mums whose babies had nappy rash prior to the trial, all noticed improvement after using the DermaVeen Extra Gentle Baby Nappy Rash Cream. Finally, more than 90 per cent of the almost 50 mums involved in our DermaVeen trial gave the products the ultimate thumbs up, saying they’d purchase them again. For more information on the baby range, head to DermaVeen.